Price: $24.95. See our order information page. Or buy the e-book. Thoroughly covering the world’s first national park, this fifth edition of the popular guide to Yellowstone revises the descriptions of the hot springs, geysers, and wildlife viewing spots. With a brand-new image of Old Faithful Geyser on the cover, the book features mile-by-mile road logs, charts of Yellowstone’s campgrounds and facilities, maps of the geyser basins and predictions of the geyser eruptions, out-of-the-way hikes, and a field guide to the plants and animals. Updated with new lodgings, recent research, 65 new color photos, and revised maps. A 21-page index rounds out the book. Also available in three e-book formats. 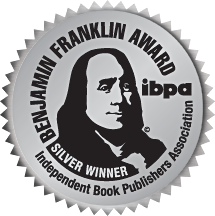 Winner of the 2017 IBPA Benjamin Franklin Silver Award in Travel. Buy from an online or brick-and-mortar bookseller, including the Montana Historical Society store (members get a 15% discount!). 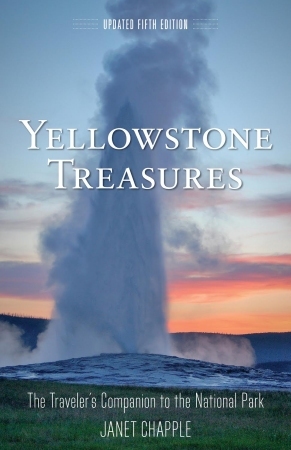 Check Indie Bound to find an independent bookstore near you: Yellowstone Treasures, Updated Fifth Edition. Or order from Barnes & Noble or Amazon.com . Contact our distributor, Independent Publishers Group, at (800) 888-4741. Booksellers in the USA and Canada can also purchase via Baker & Taylor and Ingram wholesalers. 65 new color photos. A summer 2016 photo contest yielded the wonderful new cover photo by Stephen Michael Gryc, among others. New map and photo in the West Thumb Geyser Basin chapter. Click for larger version. Read news releases, download photos, and find out more in our Media Kit. How to find great hikes: The hiker icons and a chart of Recommended Short Walks at the back of the book help you choose. Hints about the tints: The color of each sidebar and road log section gives a clue to its contents.